Laffey, Leitner & Goode LLC in Milwaukee, Wisconsin is a deeply valued partner of the Animal Legal Defense Fund. Three attorneys, Joseph S. Goode, Mark Leitner, and Jessica Farley, are the team behind two Animal Legal Defense Fund cases: our fight for transparency regarding experiments on baby monkeys at the University of Wisconsin-Madison and our First Amendment lawsuit challenging a Wisconsin statute which imposes unconstitutionally broad restrictions on wildlife advocates and journalists. After the University of Wisconsin-Madison refused to release crucial documents related to controversial, taxpayer-funded experiments on baby monkeys, the Animal Legal Defense Fund filed suit in 2014. While the trial court initially ruled in the university’s favor, in October 2017, the Wisconsin 4th District Court of Appeals reversed the ruling and ordered the school to release the records thanks to the firm’s advocacy. Additionally, Laffey, Leitner & Goode is providing pro bono representation on our lawsuit against a Wisconsin law that makes it illegal to photograph, videotape, or even maintain “a visual or physical proximity” to hunters. It’s essential that journalists and animal advocates have the right to disseminate accurate information about the treatment of wildlife. This important lawsuit argues the statute violates the First Amendment and suppresses speech critical of animal exploitation. 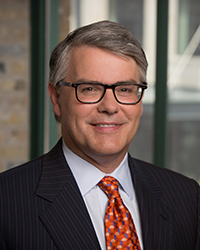 Managing Partner Joseph S. Goode formed Laffey, Leitner & Goode with Jack Laffey and Mark Leitner in 2016. Since the beginning of his legal career, Joe has incorporated pro bono work into his law practice. 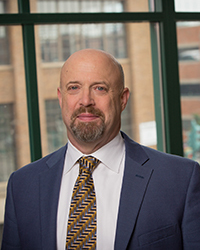 He has assisted the Animal Legal Defense Fund since 2015, acting as counsel on both the University of Wisconsin open-records case and the ongoing First Amendment lawsuit. A self-described “animal nut,” Joe grew up with dogs. As an adult, he is deeply involved in animal protection. He is a board member of the Dane County Humane Society, a teacher for Wisconsin’s Humane Officer Certification Program, and frequently speaks on panels on legal issues in animal protection. He stays motivated because he knows his work “is giving a voice to animals.” Joe and his wife live with Greta, a spoiled boxer who frequently comes to work to “help out,” and Audrey, a calico cat. Founding Partner Mark Leitner is a seasoned attorney nearing 33 years as a trial lawyer specializing in complex business disputes. He began working on animal-related pro bono cases after his longtime law partner Joe Goode asked for assistance with a case. As he learned more about animal law, he was inspired to provide “a voice for those who are literally voiceless.” Mark has worked on both the University of Wisconsin open-records case and the First Amendment lawsuit, participating in all phases including conducting investigations and preparing pleadings. Jessica has been a member of the Animal Legal Defense Fund pro bono network since 2015. She is a member of the Board of Directors of the Wisconsin Federated Humane Societies and assists animal shelters and veterinary clinics with various legal matters. 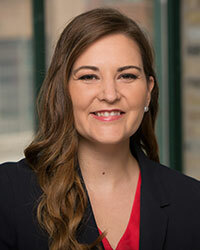 Jessica has worked extensively on both the University of Wisconsin case and the lawsuit challenging the constitutionality of Wisconsin’s anti-free-speech law. She lives with her husband and her rescue cat, Ivy. The Animal Legal Defense Fund is very grateful for the pro bono support of legal professionals across the country. In this continuing series of spotlights, the Animal Legal Defense Fund commends the contributions of Joseph S. Goode, Mark Leitner, and Jessica Farley.